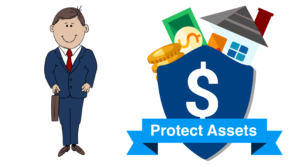 As a domestic asset protection service, the Family Limited Partnership or FLP can provide a strong layer of protection between your assets and creditors. Properly established, it is challenging for someone to pursue the assets held in an FLP. Suppose a plaintiff in a lawsuits obtains a judgment against a limited partner. If you know how an LLC protects you, the FLP works the same way. The creditor must seek an additional court ruling in order to attempt to receive distributions of profit from the partnership to that particular partner. The legal term for this ruling is a charging order. However, there is a catch. If a court grants a charging order to a creditor, the creditor cannot force the general partner to make distributions. Moreover, the IRS requires the creditor to pay taxes on profits of the partnership. Better yet, the law requires them to pay, whether they receive money, or not. 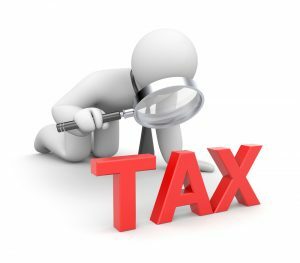 So, holding assets in an FLP is a very strong deterrent for a legal opponent as they will have a tax obligation without the corresponding income. 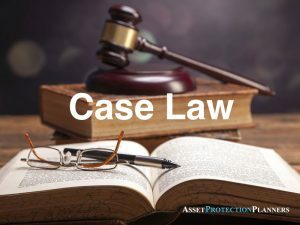 Case law history proves that a family limited partnership is one of many effective asset protection tools in use today. It can help reduce estate and income taxes, it gives you the ability to manage your assets while denying creditors access to them. It also has a built in tax penalty for any creditor who receives a charging order against it. All of these provide substantial deterrents. General partners are in control while limited partners have little to no control. The law denies creditors the right to take any interest in the partnership. Plus, if structured properly the FLP can offer privacy and anonymity. Family Limited Partnerships are among the most widely used and effective domestic asset protection tools. Another important component is liability. When someone sues the FLP, the general partners, by FLP definition, have general liability. The limited partners have limited liability. So, they can only lose the money they have invested in the entity. That is why we often place an LLC in the general partner position. Parents own the LLC, which controls the FLP. So, if someone ever sues the partnership, the LLC protect the parents. 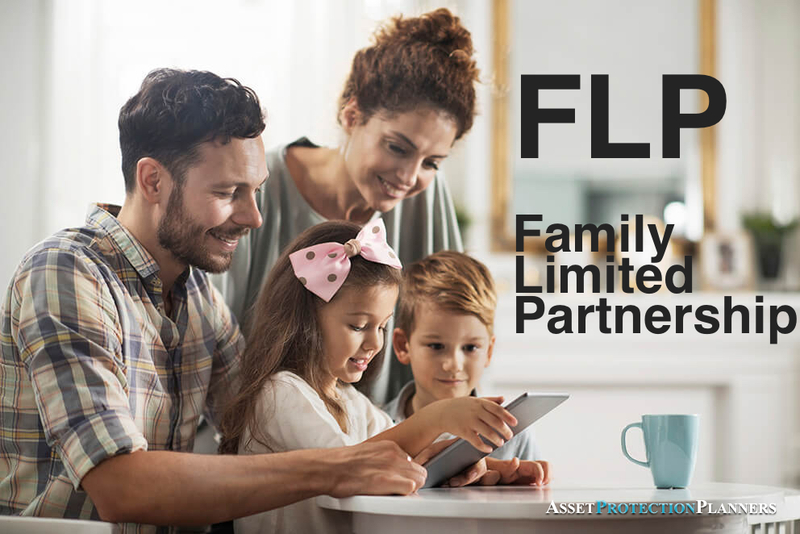 Families use FLPs to save thousands of dollars in income tax every year. They can help save money in self-employment taxes. They can help distribute income to family members in lower tax brackets. Plus FLPs can can save thousands or millions in future estate taxes. Keep in mind, the parents usually control 100% of the partnership. So, they can spend all of the money on themselves if they wish. Here is an example. Mom and Dad can own 2% as the controlling general partners. The kids can split the remaining 98% as non-controlling limited partners. Thus, when the parents die, the kids can inherit the 98% free from estate taxes. Therefore, the FLP can insulate assets from lawsuits while you retain control over your wealth. Families use FLPs to protect real estate, stocks & bonds, cash, jewelry, furniture and fixtures and many other personal and business assets. In addition, an FLP in that it is a tax neutral entity. 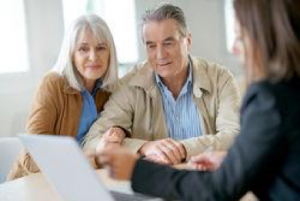 Thus, unlike a C corporation, you can freely transfer assets in and out of the Family Limited Partnership without concern about an adverse tax effects. First, we form your FLP that is structured to meet your requests. This takes specialized knowledge and experience. Second, we draw up the partnership agreement. You, in turn, fill in the names of the partners. Third, you then open a bank account in the name of the entity and place assets into it. If the asset has a title, such as real estate, we can complete a deed that transfers the property from the current owner to the LP. Better yet, we form a separate LLC for each piece of real estate, to contain liability within each property. Then, the FLP owns all of the LLCs. If the property does not have a title, such as art and furnishings, you can include that on a “Schedule A.” You refer to and attach the schedule in your partnership agreement. Once you have done this properly, it becomes very difficult for a creditor to pursue the assets held in your FLP. 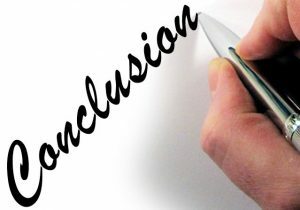 The key tenet is that the partnership is established properly and you have a properly worded limited partnership agreement. Here is a summary and review of the family limited partnership. In the event of a judgment against a partner, a creditor must then pursue a charging order against the partnership. That order says that whatever the FLP would distribute to that partner, would go to the creditor. However, if the general partner does not make distributions, the creditor gets nothing. The managing partners remain in control of distributions to the partners. If the partnership has undistributed profits, the creditor receives a K-1 tax form and must pay tax to the IRS on money that they never received, and probably never will receive. As a result of this, few creditors ever pursue a charging order. Your partnership agreement is confidential and you do not file it with a government agency. Typically, only you know what it says. Only you know who the limited partners are and what assets it owns.